Happy "It's not so early anymore" Season! This recording means so much more after what happened; it will be a memento for when they last took the competition mat with him. 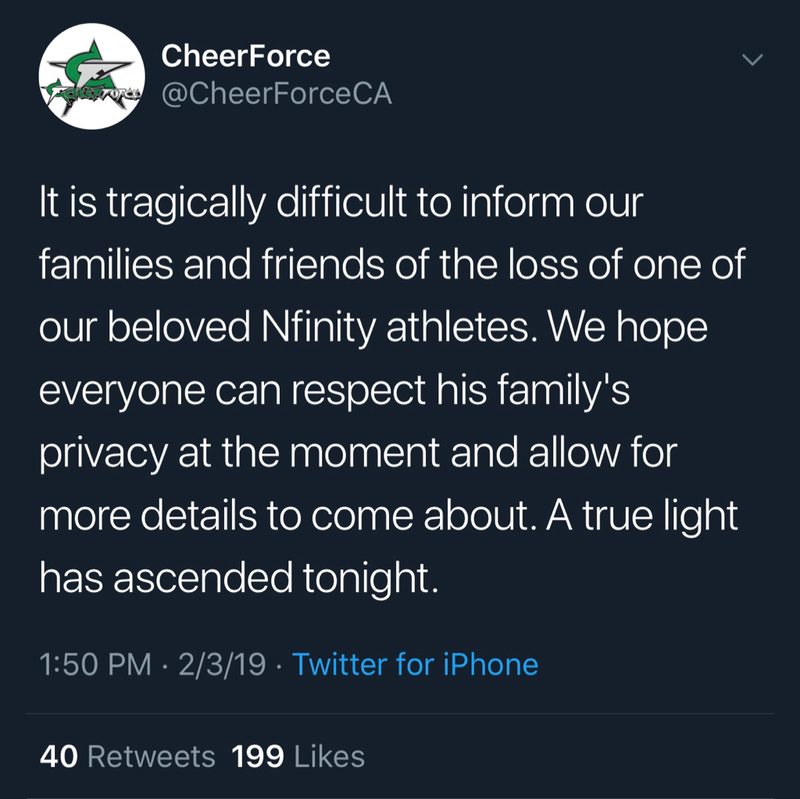 R.I.P., thoughts to the entire Cheerforce community. You know what I did? 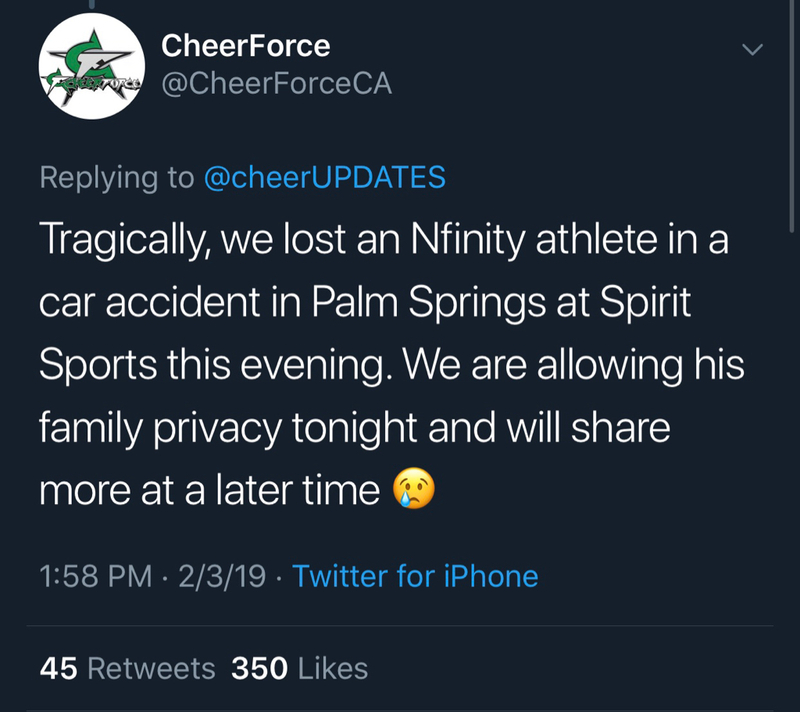 In all the confusion (and before I knew what actually happened), I went to the CF Twitter page and donated to the fund of another athlete who passed away last month. I just assumed he was the person in question because oh my gosh, how terrible can things get for one gym? So as far as I know there is no fund set up for this young man, but I will definitely keep my eye out for it and post it here if/when it becomes available because now I feel silly. But in the meantime I think I’ll send something to the gym properly. What do you even send for condolences besides flowers? I want to give them something they can enjoy. But cake seems like a celebratory, and therefore poor, choice. When my stepdad died, I literally appreciated anything. Cake, whatever. Everyone is different though.